Ms. “V” (Victoria Thomas Poller) – The ‘Dear Ms. “V” of the Christian circuit. She has a target audience that includes everyone. Her main objective is to answer questions and give advice from a Christian perspective, to all nationalities. If you’re male, female, young, or more mature - Ms. “V” will touch subjects that may not come across the pulpit. You may have had the subject matter on your mind, yet she will give a reply that is Bible based and down to earth (scripture and verses included). Don’t stay away from a church, congregation or God because of previous hurts or misunderstandings. God loves you. Let her prove it. Victoria Thomas Poller (Ms. “V”) was born in Philadelphia, Penna. She’s married to her college sweetheart, Levan. They have been united in marriage for over 36 years and are the parents of Robert and Tonya & they have one Granddaughter. She followed her husband in his USAF military career for over 24 years. 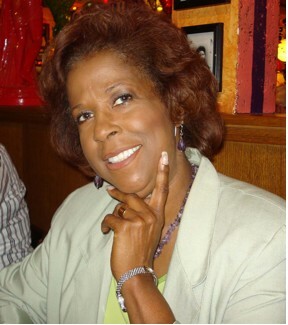 Her other accomplishments include publishing a Christian Business Directory from 2004 – 2007; volunteer ambassador for the City of Clovis, NM; written grant proposals for 501C3 organizations; teaches women’s groups; and conducts seminars in the US and Europe. She also has published two non-fiction motivational books: “Where Did That Come From?” and “Bent But Not Broken”. Her next book release is due soon. Victoria (Ms. “V”) posts a bi-weekly blog on her website, and is social on You Tube, Facebook, Twitter and Instagram where she welcomes your comments. Visit her & read her news columns on The Events Examiner, The Christian Living Examiner and AXS sites.